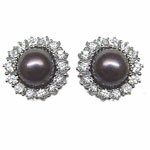 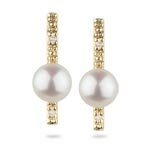 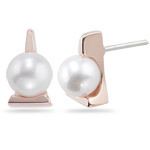 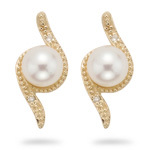 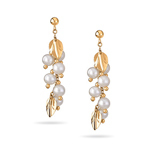 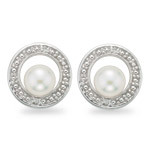 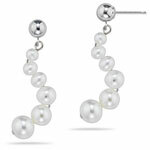 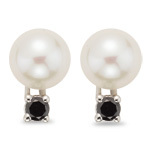 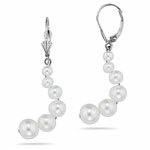 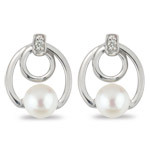 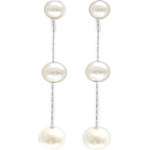 The skillful work of the designers and craftsmen displays the stunning simplicity Pearl Fashion Earrings. 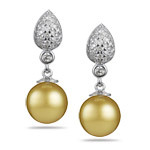 Bejeweled in Silver, Gold and Platinum metals; this jewelry radiates spark to the wearer. 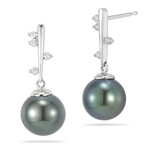 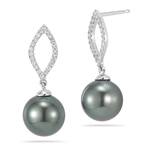 Available in Fresh water, Akoya, Tahitian and South Sea Pearls both in AAA and AA quality. 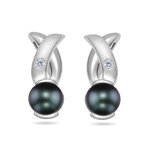 Choose the pair of earrings within your budget. 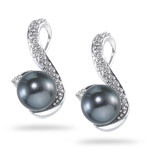 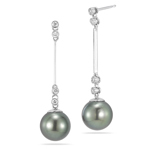 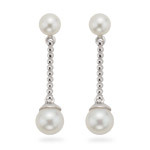 0.02 Ct Diamond & Freshwater Cultured Pearl Earrings -14K White Gold. 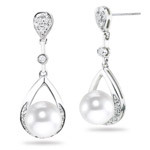 2.10 Ct White Sapphire & Pearl Cluster Earrings in 14K White Gold. 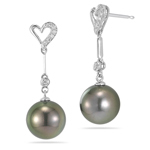 Pearl is the symbol of love and marriage according to Greek. 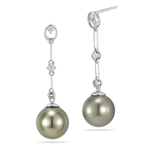 During the European Renaissance, law was passed that only the nobles can adore pearls. 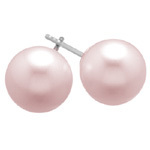 Pearl was also thought as a talisman and worn by the gallant knights to protect themselves in the battles.